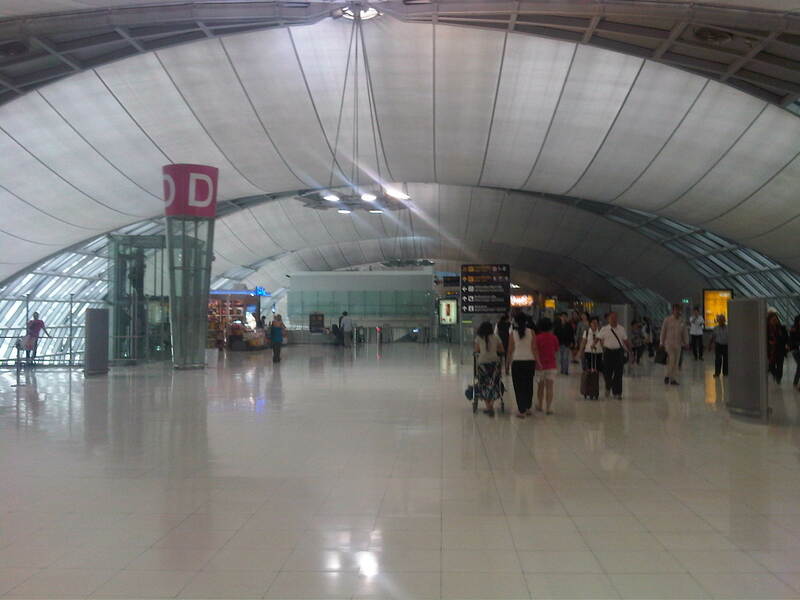 I took a few photos near the check-in counters at NAIA Terminal 2 as I myself checked-in for a flight to Bangkok. There was less confusion now compared to the last time I used PAL for an international flight and their ground staff were relatively unexperienced. This was the result of PAL rationalizing their workforce and opting for outsourcing ground services prior to San Miguel’s takeover of the financially-challenged full service airline. 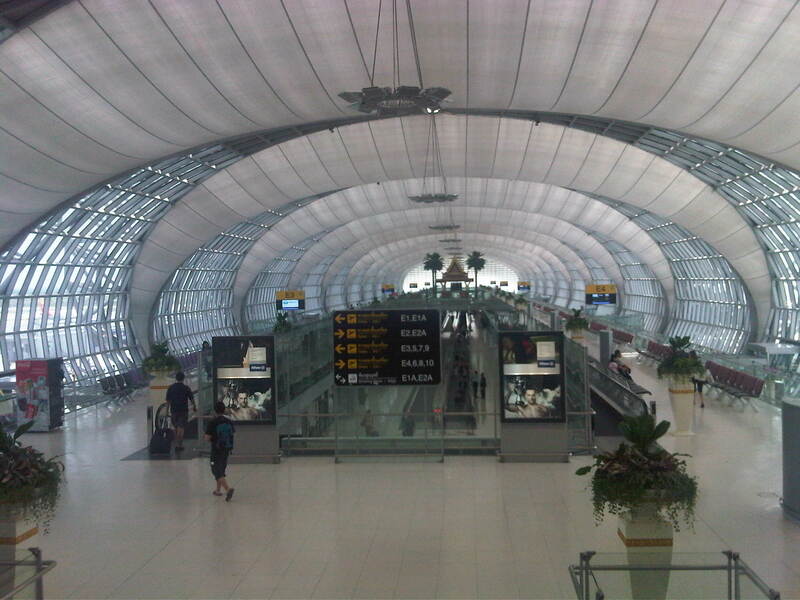 During the transition period, queues were longer as service times at the check-in counters were longer. Ground staff took some time to process each passenger as perhaps they had little training (if any) and thrust into the real work provided an initial shock that translated into slower services. 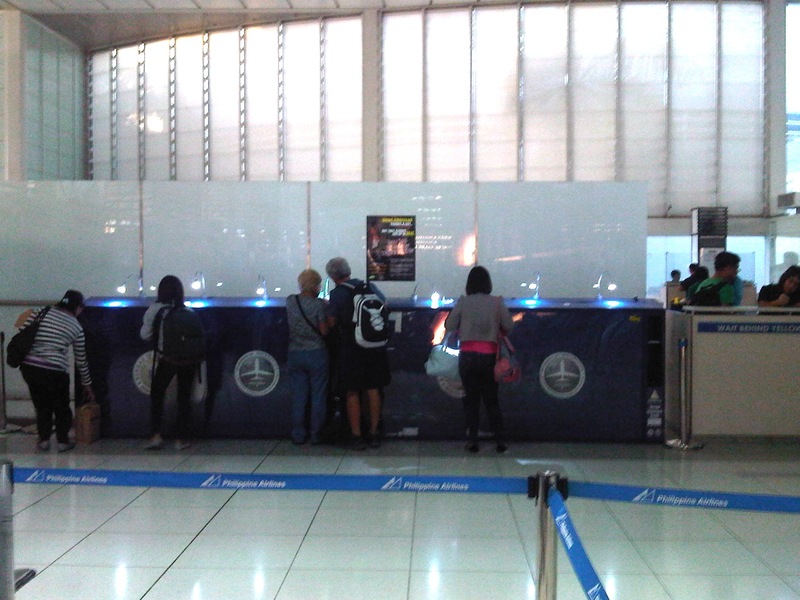 Passengers checking-in at NAIA T2. There are no internet check-in booths (for those who already checked-in online and would just drop-off their luggage) or automated check-in machines at Terminal 2. PAL needs to work on these services for more efficient services at the terminal. A single queue with multiple servers means more orderly services for passengers. This is actually something that Philippines immigration should implement in all airports whether for departing or arriving passengers. I don’t get it why for departures, immigration can implement this simple system resulting in more efficient processing for travelers while the same cannot be implemented for arrivals. Passengers lining up to pay terminal fees. NAIA is one of very few terminals still charging terminal fees. Elsewhere, these fees (if any) are already integrated into the plane fares and so passengers don’t need to queue and spend time for another transaction. Travelers fill out immigration cards before lining up for the immigration counters. There are still many who seem oblivious to this requirement. While some are really the hard-headed type who end up stalling the queue, these people can easily be filtered by immigration or airport staff managing the queues. 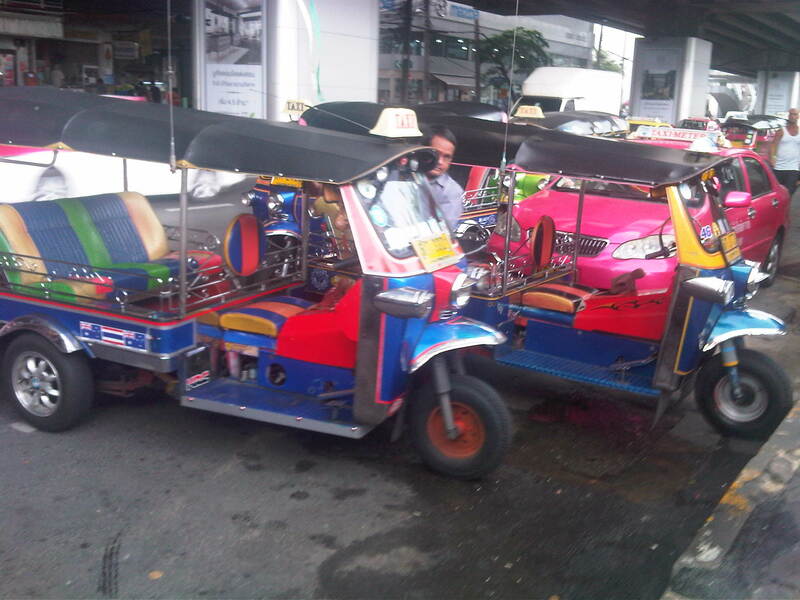 I had wanted to post about airports again but the aftermath of Typhoon Haiyan and the continuing efforts for relief in places affected by the typhoon made me hesitate a bit from doing “business as usual” writing. The past few days though I have seen a demand for information on NAIA Terminal 3 and so I decided to complete an unfinished draft on T3 to add on the information out there on shopping and eating/drinking at T3 once the passengers have passed through the final security check and proceeded towards their respective gates for pre-boarding. 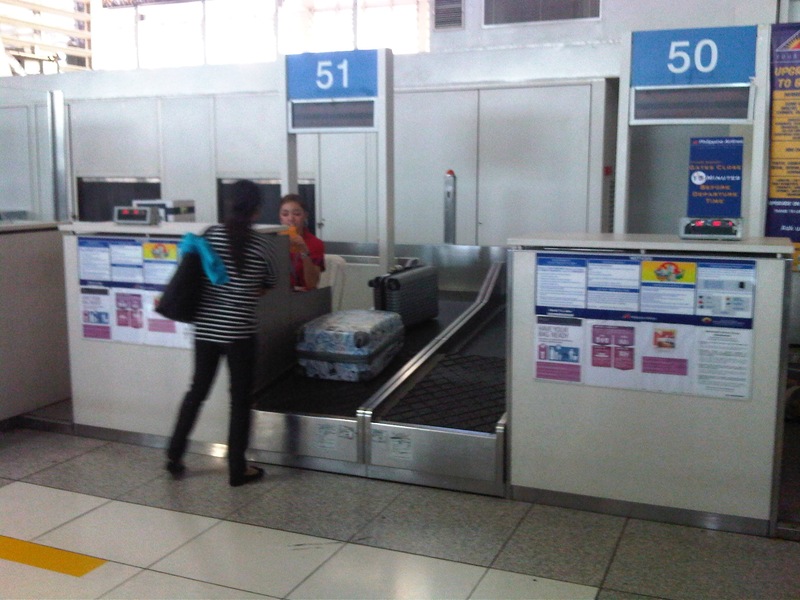 We were at Ninoy Aquino International Airport’s Terminal 3 last month for a flight to Iloilo. I took some new photos to come up with an update to the pictures I’ve posted in the past on T3. There are many souvenir shops at NAIA T3 including those selling flip flop sandals, shirts, swimwear, electronics, luggage and various accessories. There seems to be a lot more options for eating or perhaps sipping a hot cup of coffee or tea while waiting for your boarding call. There’s a shop selling eye wear (sunglasses anyone? ), electric razors and watches. A popular souvenir shop for shirts is Islands Souvenirs. They have shops or stalls all around the country with each basically selling only designs attributed to the city or island where the shop is set-up. That means Cebu shops/stalls basically sell Cebu-themed shirts, Iloilo shops/stalls sell Iloilo-themed merchandise, and so on. The shirts they sell are of very good quality and don’t shrink after you wash them. I have quite a number of shirts (I used to collect them from my travels.) so I can attest to the quality of their products. “Pondohan” translates into neighborhood “store” or “shop.” It is also more commonly called “sari-sari” store with the term “sari-sari” meaning “variety” and referring to the merchandise being sold at the store. This stall offers quick meals as well as pasalubong in the form of their take on popular kakanin or rice cakes or puddings. Friends say they also have good coffee. Colleagues of mine having a quick meal before our morning flight to Iloilo. 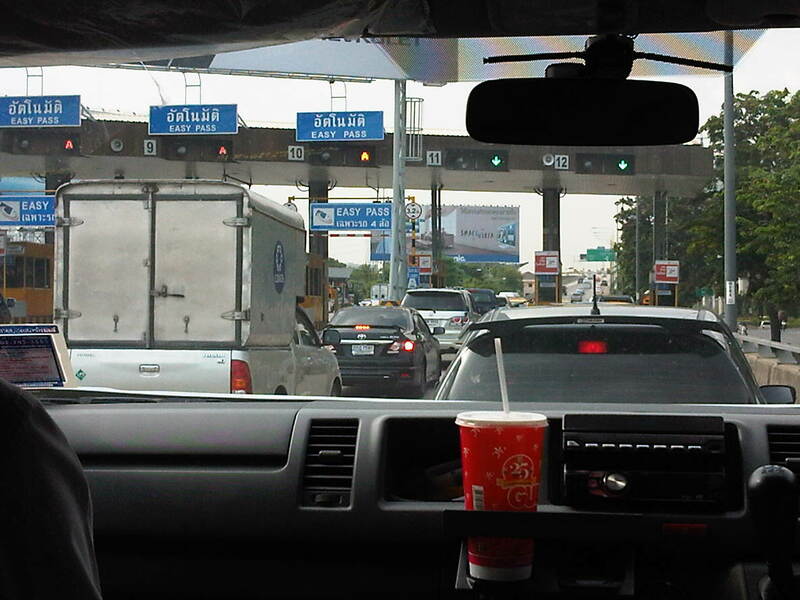 Beside them are directional and information signs of PAL and Ceb Pac. We found that there were already other shops and cafes/eateries along the way to the boarding gates at one end of the terminal. I guess with more passengers now using T3, there is also more demand for shops and options for eating at the airport’s pre-boarding areas (i.e., near the gates of this linear terminal building). 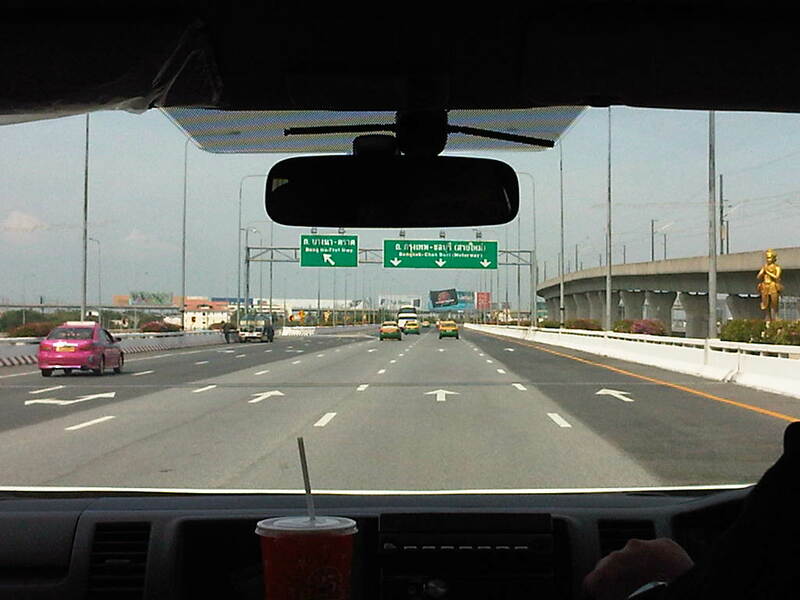 I’m writing this short post as I wait for our overly delayed flight back to Manila from Bangkok. 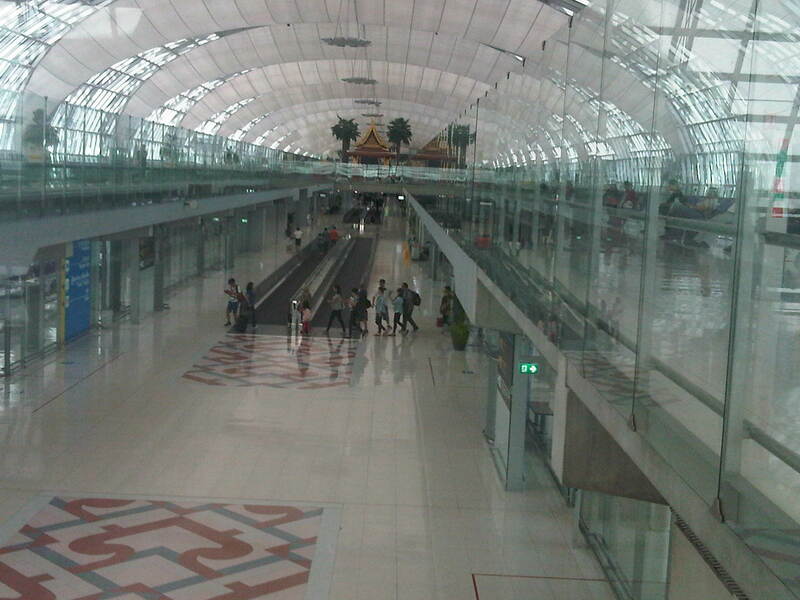 Next to Changi, this is my next favorite airport and I always marvel at the expanse of the terminal everytime I am here. There were management or operations issues when the airport was newly opened (I think I have a post on this years ago) but I guess these have been resolved. 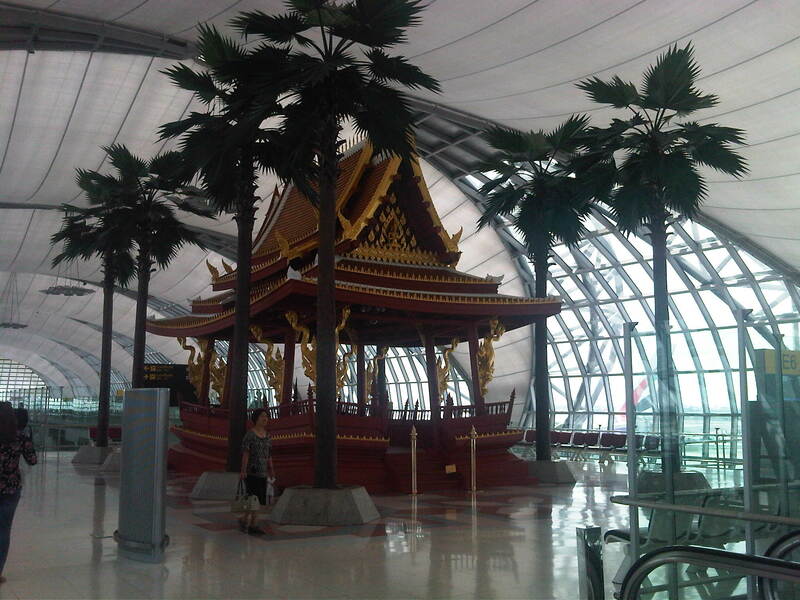 Here’s a few photos of Suvarnabhumi International Airport I took while walking away the time until we board the plane. The buzz on the streets and on social media is the focus on Tacloban, Leyte when vast areas and many other towns and provinces have been ravaged by super typhoon Yolanda (Haiyan). This seems unfair to other cities and municipalities considering Yolanda made 6 landfalls at or near peak strength (as a Category 5 typhoon) with winds topping 225 kph and generating destructive storm surges as it hammered through the central Philippines. If you have Facebook, one provincial government staff has posted a lot of photos describing the situation in the northern towns of Iloilo where the destruction caused by the typhoon is very clear and to many, still unimaginable. These photos along with all others that can be Googled, Yahooed or found via other search engines or news agencies show the extent of the damage brought about by Yolanda. Some people say that the islands of Cebu, Panay, Negros and Mindoro are fortunate as principal cities in those islands like Cebu City, Iloilo City, Bacolod City, Dumaguete City and Calapan City were relatively undamaged. This is also true, and so the airports and ports in these cities provide direct access to the islands for relief work. Moreover, government agencies and private entities have been able to organize relief activities through these cities and based on various news reports, it looks like a lot of people are already involved in these activities. That goes without saying that more people are still needed to be involved in various capacities for relief, rehabilitation and reconstruction work that are expected to be undertaken over a longer term considering the extent of the damages to towns. But given the circumstances for the said islands, there is no excuse for more rapid aid not being able to reach the affected towns in these provinces. In fact, much more is expected where accessibility is no longer an issue and so faster recovery is possible for Panay, Negros, Cebu and Mindoro. In the cases of Cebu and Bohol, it is important to remember that the provinces already are also still reeling from the impacts of the Magnitude 7.2 earthquake that occurred only a few weeks ago. On another note…Tacloban Airport is still closed to commercial aircraft but the land routes via RORO or the nautical highways are open to traffic or operational. I think the quickest way to Leyte is via the route from Cebu. There are regular RORO and Supercat services between Cebu City and Ormoc City in Leyte. There are other maritime transport services from Bogo City in northern Cebu but I am not sure those services are back to normal. Then there are also access via the Eastern Nautical Route via the Bicol Region and crossing over to Samar Island (Allen) via Matnog, Sorsogon. Many roads still need to be cleared but the main highway (Pan Philippine Highway) including the San Juanico Bridge that connects the islands of Samar and Leyte.